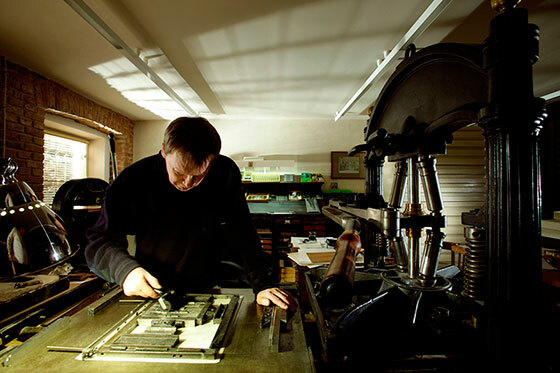 The Rare Book from St. Petersburg Publishers is publishing hand-made books with circulation ranging from two to twenty five copies. The books are printed manually on a 19th century printing machine or are calligraphically written on hand-made paper. Unique samples of books of the highest artistic level are carefully kept in the biggest book collections, such as The Hermitage, the Russian National Library, the Bavarian National Library, the Public Library of New York, the Gravure Office in Berlin, the Victoria and Albert Museum in London, the British National Museum and also in the best known private book collections. The books are illustrated by St. Petersburg famous artists in original printing techniques, such as lithograph, etching, woodprint, monotype and copperplate print. Book covers are made by the highest-class restorative binders of leather, silk, metal, wood, ceramics and marble. One of the masterpieces created by The Rare Book Publishers became the Decalogue with 10 Testaments. 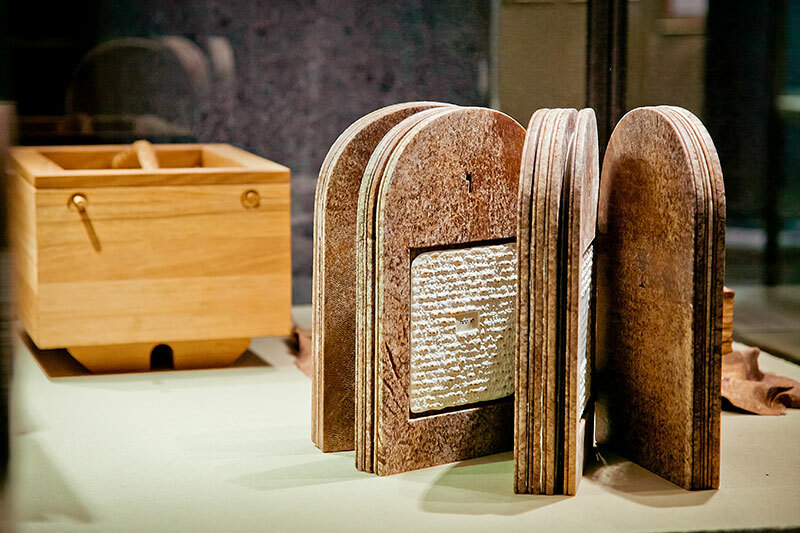 The testament pages are made of Egyptian dark papyrus. Matza is made of special paper. By the way, sheets for the Ten Testaments were formed by the Publishers. Artist Andrey Lurie who studied paper production in Finland took the remainder of French paper, added oakum, ground the stuff, sieved the liquid through a fine screen and dried on glass in his workshop. The wording of the testaments is printed manually, on an old 19th century printing machine in Ancient Hebrew, using the Prague Haddagah fonts. It is accompanied by translations into seven languages: Ancient Greek, Church Slavic, Arabic, Persian, Sanskrit, Chinese and Japanese. 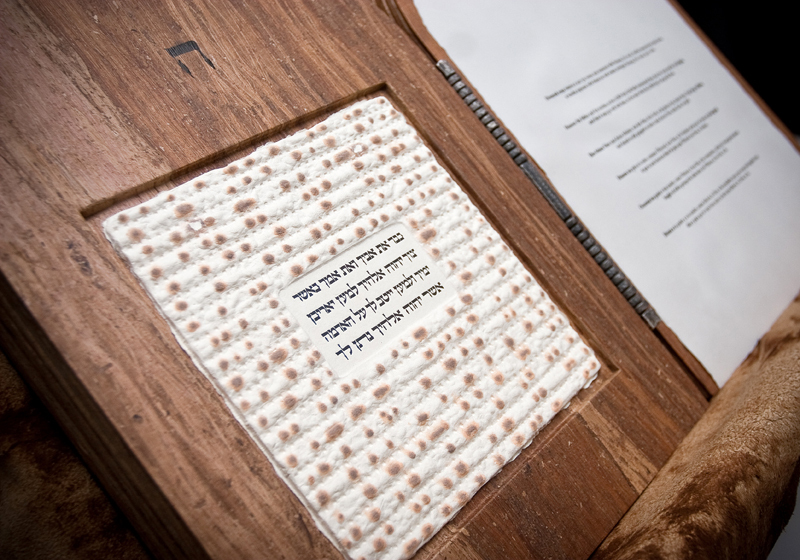 The translations are printed manually on Israel-made parchment. Matza mounded and etched on silver with patination is placed on the leather cover-sheet. Tablets made of stone from the Moses Mountain in the Sinai Desert are inserted into it. Stone from the Moses Mountain was delivered by a special-purpose expedition and processed by stone-cutters. The joint-hinge that fastens the pages is made of silver. 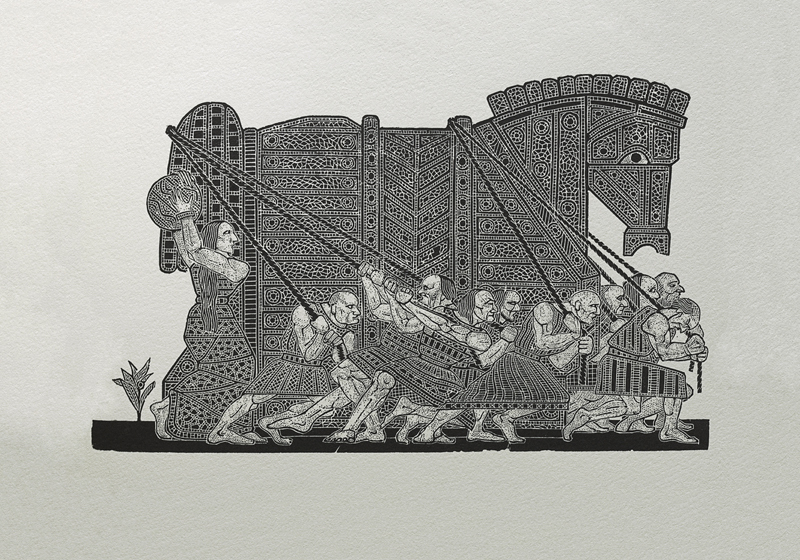 The Trojan War book that contains histories of the war in extracts from antique works by Fucidid, Apollodor of Athens, Homer, Pavsany, Dracontio, Philostrat, Diador, Diador of Sicilia, Paul Orosy, Pompeus Trog, Dixis of Crete, Vergil, Titus Livy is another masterpiece of the publishing house. 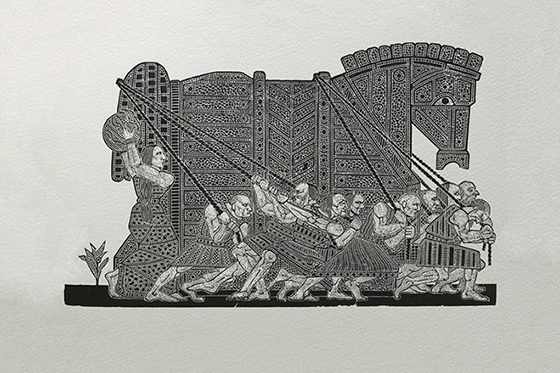 The book contains 26 wood engravings. 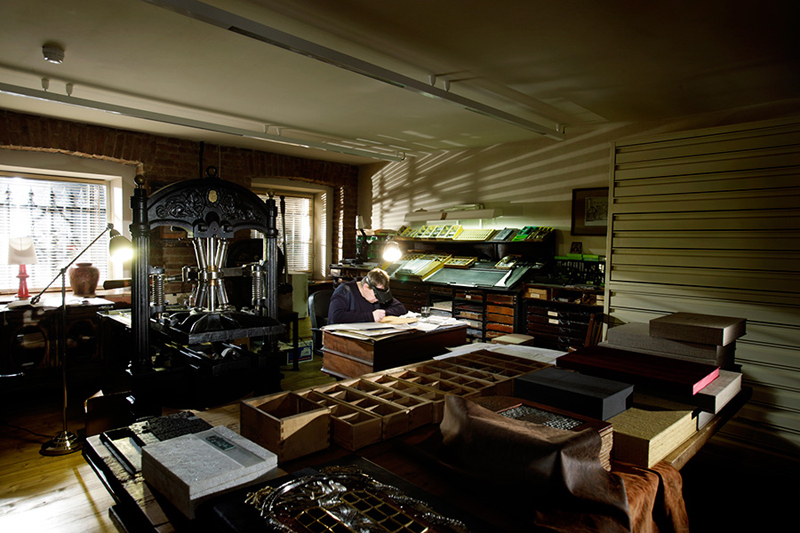 The text was printed on a 19th century printing machine, on hand-made paper. 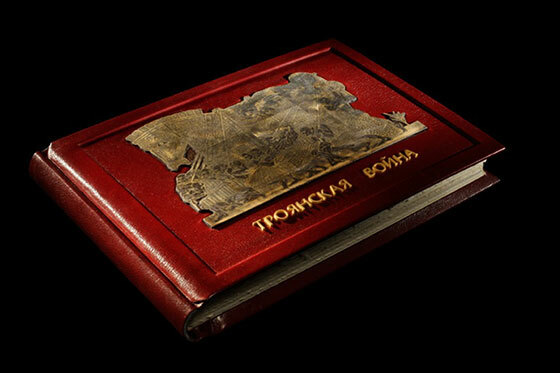 The cover is made of leather, gold-plating, inserts of the original wood planks from which engravings for this book were printed. The book circulation is just 25 copies numbered and signed by the artist and publisher, one of which is kept in The Hermitage. Materials of which rare books are made are always specific. If it is conventional leather it is brought from France. Even though leather of the right size, colour and structure is now ordered in Moscow, but paper, paint and almost all of the remaining materials are imported. Hand-made paper is purchased from firms that have cooked it using the 15th-17th century methods for centuries already. It is made of pure cotton, with addition of its own colour. After sieving raw materials through the screen, the paper is initially with uneven edges. Then it is cut and goffered, i.e. processed with a special hammer to create uneven edge. The decoration ideas sometimes requires that the text looks unconventional. Then calligraphers of the publishing house re-write the entire book by hand. Is it an error? No, it isn’t. They re-write it on the same expensive paper. “As we ventured to implement the project the price for which is life and eternity, we need not spare materials or time”, — says Piotr Suspitsyn. Re-writing Servantez“ Don Quixote was the most time consuming. We published five copies in English, five, in Spanish, and five, in Russian. “A book is like a chamber orchestra to me where virtuoso performers, consolidating their mastery, engender fine art. 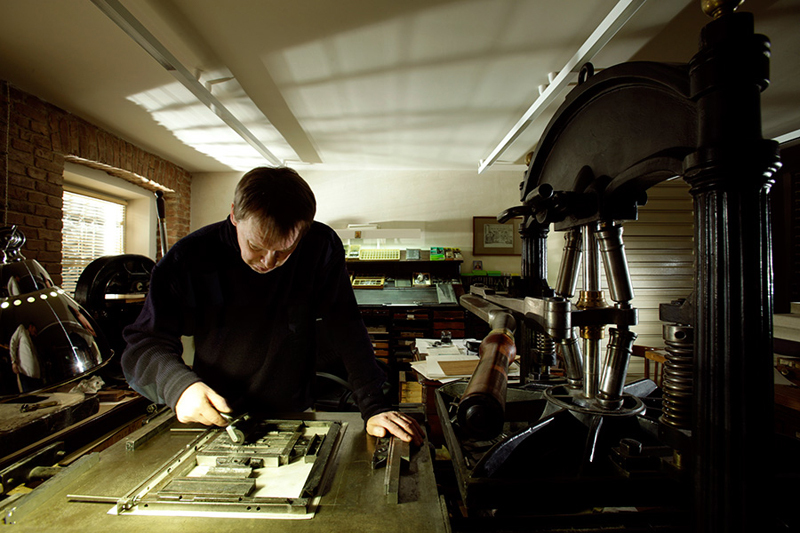 There is music of the book… With bated breath, we admire printer’s work. It is with surprising intuition that he passes the energy of his hands to the printed word that revives on a chaste sheet of paper. Binding masters make a book tangible: overcoming the resistance of prankish material they, like architects, mould its appearance. But it is the artist that plays the major role in creating the image of such book. Everybody follows his idea and views” (Piotr Suspitsyn, Publisher).